I finally got around to reviewing Liberty Counsel's complaint against GuideStar (see below). My guess is that GuideStar (if they don't try to settle the matter) will file a motion to dismiss for failure to state a claim. In other words, even if the allegations are true there is no cause of action. The federal question is awkwardly hinged on a trademark issue. 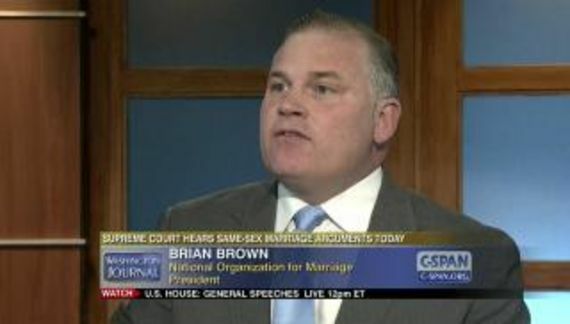 GuideStar aside, I have every right to state my opinion that Liberty Counsel is a hate group. It is my considered opinion that Liberty Counsel is a hate group. If Mr. Staver wishes to contact me again I would be more than happy to explain why I have reached that conclusion. GuideStar and I have every right to state, as an issue of fact, that Southern Poverty Law Center considers Liberty Counsel a hate group. 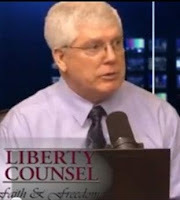 If Mat Staver or Anita Staver have a problem with that designation of Liberty Counsel as a hate group by SPLC then they are free to take it up with them. They won't do so and they are not going to stop doing those things that cause Liberty Counsel to be designated a hate group. As Austin Ruse correctly points out, organizations are reluctant to sue SPLC because of the organization's financial resources. Ruse claims that SPLC is sitting on $315 million in cash and that is grossly incorrect according to the audited financial statements. $315 million is their net asset value and they have plenty of money. SPLC also has some powerhouse lawyers. Liberty Counsel does not. Therefore, they are using GuideStar as a proxy on a rather feeble legal theory. Most of the complaint attempts to portray SPLC as an unreliable source. It's all irrelevant. If I quote the New York Times with proper attribution and that quote is critical of Liberty Counsel, Staver has no action against me. Take it up with the Times. It is hard to tell what Liberty Counsel wants out of this. Even those people have to realize that their chances of prevailing are less than my slipping on a snowdrift near my home in Miami Beach. While they can produce some fringe players to attempt to discredit SPLC, SPLC would be in a position to offer testimony that could seriously embarrass Liberty Counsel including their possible involvement in a parental kidnapping (which Staver denies). There is also a well documented record of Mat Staver instructing people to disobey the law which is a crime. Perhaps they are hoping that GuideStar blinks and agrees never to cite the SPLC designation in the future. Perhaps they think that the litigation provides a platform to put SPLC on trial by press release. One can never accurately assess the true intentions of crazy or stupid people.